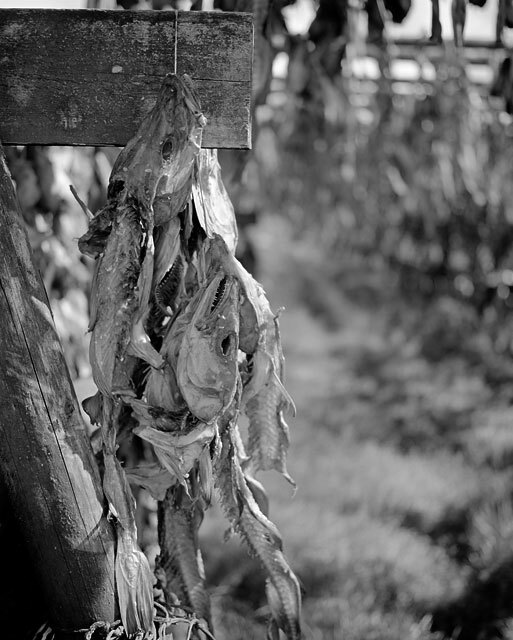 Drying Fish. Near Route 42, Reykjanes Peninsula. Mamiya 7II, 80mm f/4L, Fuji Neopan Acros in Rodinal 1:100.